“When the NFIP expired in 2010, over 1,300 home sales were disrupted every day as a result. That’s over 40,000 every month. 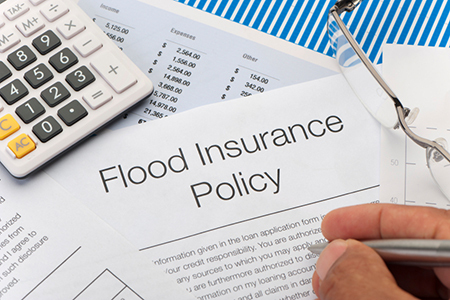 Flood insurance is required for a mortgage in the 100-year floodplain, but without access to the NFIP, buyers simply couldn’t get a mortgage or vital protection from the No. 1 cause of loss of property and life: flooding. “This problem affects far more than coastal communities, and prospective homeowners aren’t the only ones at risk. Policyholders in over 22,000 communities across the country depend on the NFIP to protect homes and businesses from torrential rain, swollen rivers and lakes, snowmelt, failing infrastructure, as well as storm surges and hurricanes. When that lifeline is cut off, the NFIP can’t issue new policies or renew existing residential or commercial policies that expire. That means current home and business owners may find their most important asset unprotected. “Last year was the third largest claims payout year in NFIP’s history, costing more than $4 billion. While there were five billion-dollar floods, including Hurricane Matthew, four of the five were inland, and the largest single event was in Baton Rouge, Louisiana in August, just one year out from the NFIP’s expiration date. “The NFIP isn’t perfect, and reforms are needed. We will continue working closely with everyone involved to achieve those reforms. NAR has been working with federal regulators and members of Congress to strengthen the program and clear the way for a private market to take hold. NAR also issued a series of principles to improve the program.